The government have recently decided that they need to pay attention to parents who drink too much the same as it does to those who misuse illegal drugs. Research carried out suggests more than 90,000 babies in the UK live with a problematic drinker and approximately 2.5 million children are living with a hazardous drinker. A hazardous drinker is someone whose alcoholic intake could have harmful consequences for themselves or others. It has been noted that the earlier alcohol help is given to parents the more chance there is of turning their life around and protecting children. Children of alcoholics are four times more likely to be addicted to drink and there is a higher risk of drug and gambling problems, therefore the quicker parents are treated the better for the children. 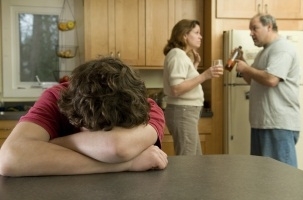 Once parents have been found as having an alcohol problem they then need to be treated. An example of somewhere which caters for people with alcohol problems is TimetoStop. Time to Stop is a leading London based alcohol rehab referal centre offering expert treatment this is the type of place where people need to go in order to get better once it has been found they have a problem, they need expert treatment. © Copyright 2012 - 2019, Health Chat.